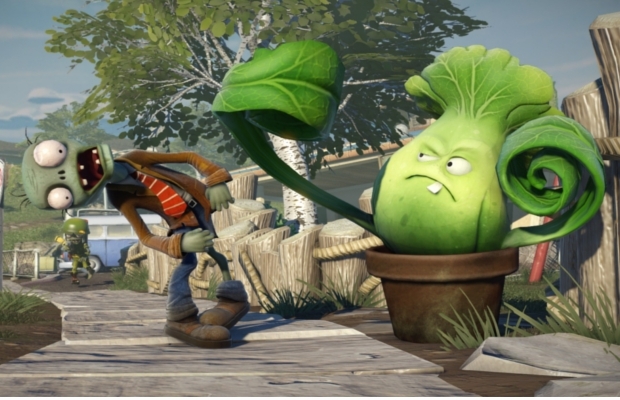 PopCap Games has confirmed its upcoming third-person shooter Plants vs. Zombies: Garden Warfare will be an exclusively multiplayer title, according to an interview with Shacknews. “PopCap’s had really good success around lower to mid-tier priced games,” Wiebe said. PopCap seems interested in taking a page from the Plants vs. Zombies 2 playbook by offering continued support for the game through DLC. It’s not yet known whether Plants vs. Zombies 2, which launched as a free-to-play title on iOS devices last month, will support free or paid DLC, so it’s hard to know how Garden Warfare will handle post-launch content. PopCap announced new levels, based in the far future, for Plants vs. Zombies 2 at Gamescom last month. Are you excited for Plants vs. Zombies: Garden Warfare? Why or why not? Let us know in the comments.